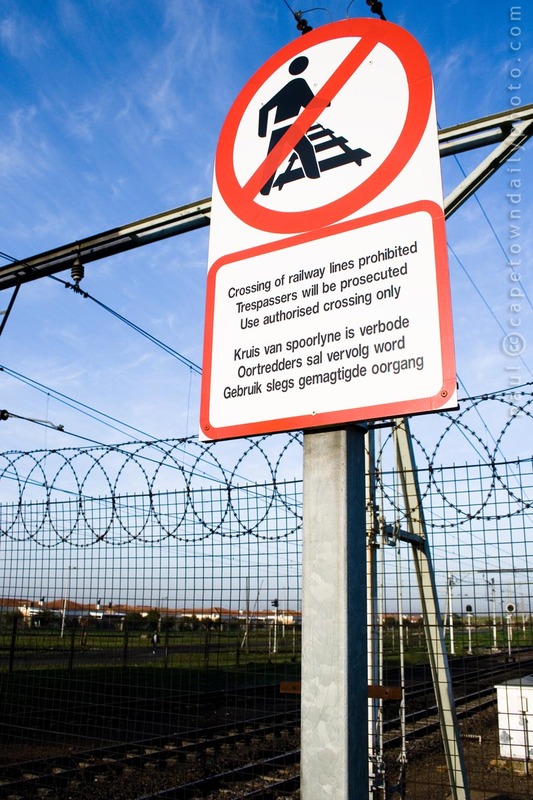 Even though these signs are posted at each station, and even though people lose limbs and lives each year, many still walk across the train tracks simply because it's quicker and easier than crossing at the footbridge. On 25 August, in a nearby suburb, a minibus taxi carrying a school kids was hit by an oncoming train at a level crossing. Eight kids died in the accident. According to an eyewitness account, the taxi had overtaken several cars that had stopped at the level crossing. I guess the driver failed to see the train. Posted in General on Friday, 27 August, 2010 by Paul.